Planted in the late 1800s by Laurent Garneau and his family. The maple tree still stands today. It can be found on the eastern edge of the Hub Mall parking lot on the University of Alberta campus. That's part of the land the Garneau family lived on. It's on the Southside of the North Saskatchewan River - between 109 and 112 street to where University Ave is today. 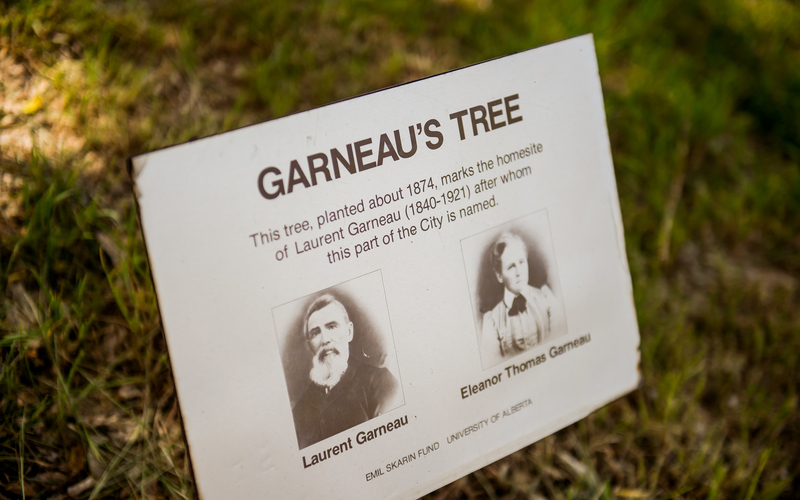 The Garneau Tree is the oldest tree in the Garneau neighbourhood and possibly even the city. The tree is slotted for removal by the university in the coming weeks. That's after an arborist deemed it unsafe. There is no confirmed removal date. A community ceremony at the tree will be held beforehand and a Métis kitchen party is planned on September 15 at 6pm. 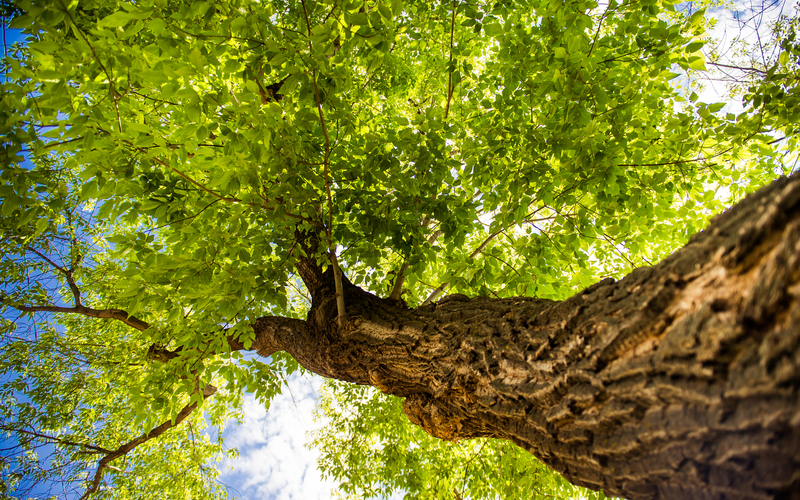 Find out about more on historic Edmonton trees here. The Garneau family arrived in Strathcona (now known as Edmonton) in 1874. They came from Manitoba after particpating in Louis Riel’s Métis Rebellion (1869-70). Laurent Garneau was arrested and imprisoned for six months in 1885. That was after he refused to obey a martial law order. It instructed residents to take refuge in Fort Edmonton from a rumoured attack by nearby First Nations. While he was in prison, his wife and 11 children were taken in by Chief Papastayo of the Papaschase people. After his release, he focused on fur trading, wood-cutting, ranching and land speculation. He left Edmonton in 1901 and moved to St. Paul, Alberta.